The days are getting colder, and if you have walked past Lake LaVerne lately, you may have noticed ice beginning to form on it. Students playing hockey on Lake LaVerne. The creation of Lake LaVerne was funded by LaVerne Noyes, an 1872 graduate of ISU who made a modest fortune as a businessman, manufacturer, and inventor of farm machinery. He wished to beautify the campus of his alma mater and hired the landscape gardener O.C. Simmonds. Lake LaVerne, as it came to be called, was created between 1914 and 1915. You can find out more from the LaVerne and Ida Noyes Collection, RS 21/7/235, Special Collections Department, Iowa State University Library. 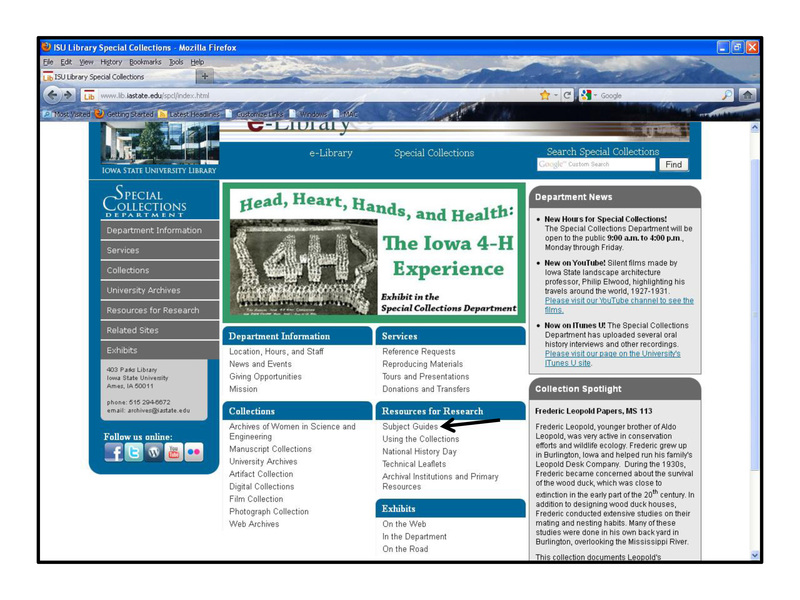 A finding aid is available online. Don’t try skating on Lake LaVerne today! The lake no longer freezes over in winter because aerators are used to keep the water open through the winter months for ISU’s beloved pair of swans, Lancelot and Elaine. If you want to glide across some ice, try heading to the Ames/ISU Ice Arena instead. 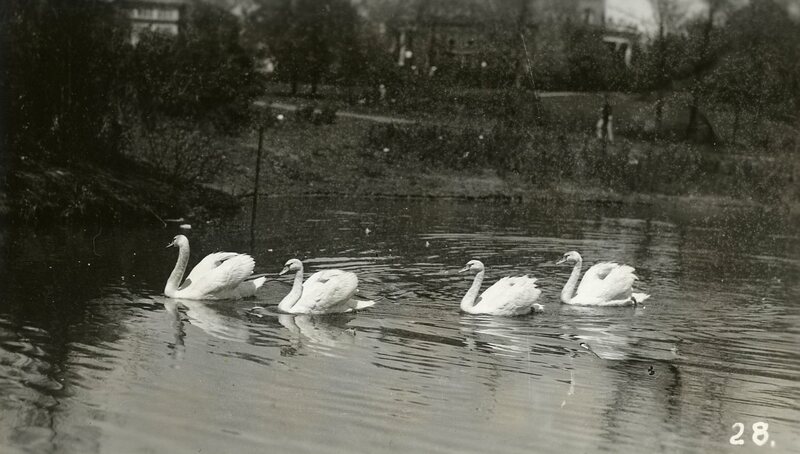 Swans on Lake LaVerne during VEISHEA, 1936. Check out these photos and others of Lake LaVerne on our Flickr site.